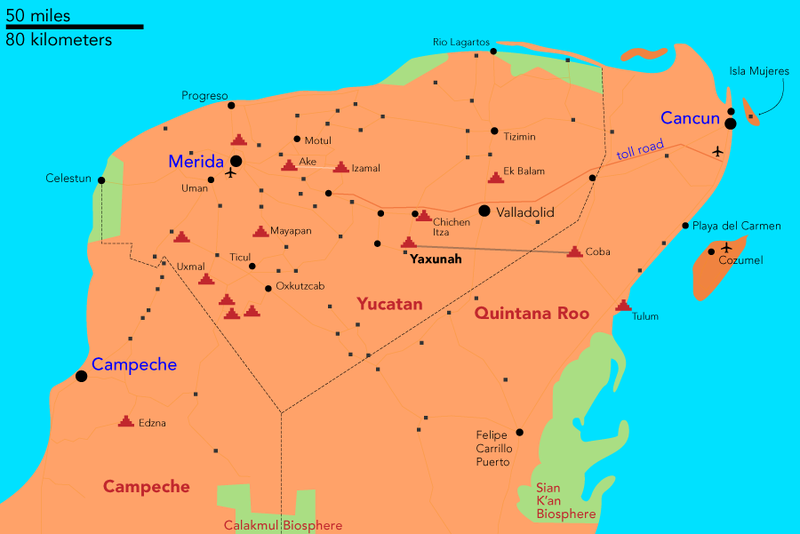 Yaxunah is almost equidistant from both Mérida and Cancun, and can be reached by bus. Take a taxi to the bus station from either airport, and get an ADO or Oriente ticket to Piste — the town next to Chichén Itzá. The taxi stand in Piste is on the plaza, and any driver will be happy to run you down to Yaxunah – about a 20 minute ride. 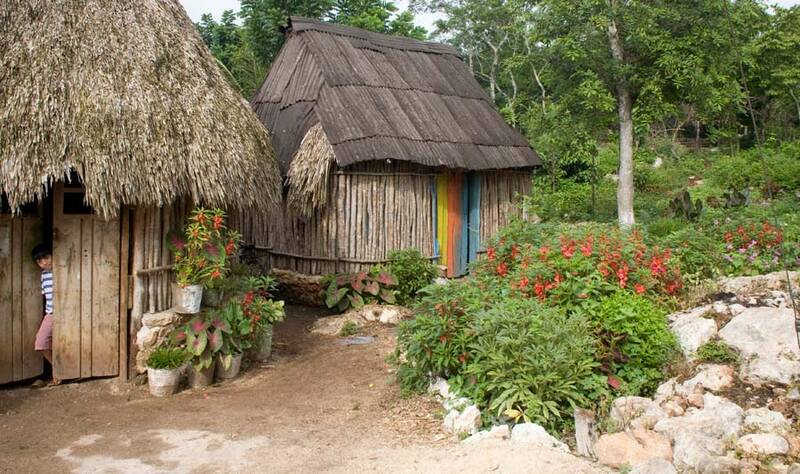 Rent a car in Mérida or Cancun and drive to Yaxunah, stopping to take in other fantastic attractions along the way, including Valldolid, Ek Balam, Izamal, Chichén Itzá and many more. Take Highway 180 either east or west. It’s big and well maintained. Be sure you take the tollroad ‘Quota’ sections, when possible. It costs a bit more, but this is made up for in speed and convenience. There are stops for gas, food and clean bathrooms all along the way. Get off the tollroad at Piste and drive south into town. When you get to the T in the road next to the plaza turn west, to the right, go about half a mile and look for the sign pointing to the road to Yaxunah. Turn south and you’ll be in the village shortly.